« New, Awesome SarahPac Video! This entry was posted on Friday, August 19th, 2011 at 23:58 and is filed under Barack Obama, Foreign Policy, Media, Politics, War. Why aren't you running for president again? Oh that's right -stock in teleprompters would go down. Fabulous article, I've watched the difficulties the nation of Israel has faced with the muslim nations around them for 45 years. The muslims never stop trying to harm this tiny little nation of benevolent people, blaming them for every ill under the sun and attempting to use false accusations to destroy them, the Lord protects them and always will thank God for his mercy. Some of this smacks of the domino theory which dragged us into Viet Nam. It proved to be false. Israel being our greatest ally in the region is false. In Iraq and Afganistan Israel sent 0 troops – 0! Turkey and Islamic country sent troops. They are the largest recipient of foreign aid given by the U.S. Now they are trying to drag us into a war with Iran. No thanks. America First! 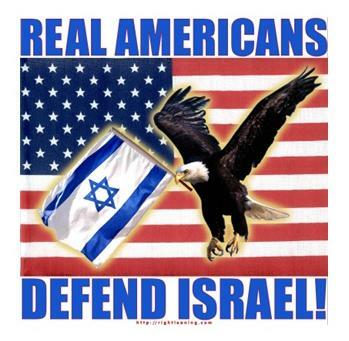 Israel is our greatest ally in the region. What you ignore is that Israel couldn’t send troops into the various operations in question without drawing immediate problems. Can you imagine the blowback that would result if Israeli troops joined the operations in Afghanistan or Iraq or Kuwait? They’d never have been permitted into Saudi Arabia. BTW, the largest recipient of US foreign aid is NOT Israel.